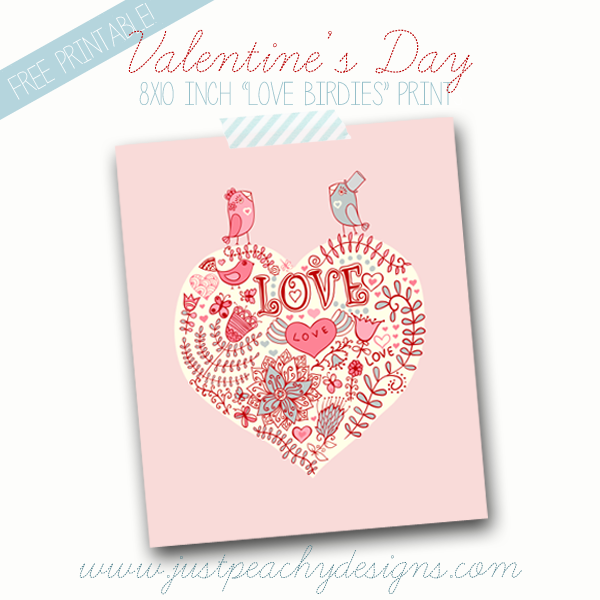 I have another Valentine's Day freebie for you - an 8x10 inch printable featuring a pretty floral heart graphic and two sweet little birdies in love. Aren't they precious? Just click the image above to download, then print it and frame. It's a perfect way to add some Valentine's Day charm to your home decor - and it would make a great gift, too! Enjoy, and have a Happy Valentine's Day!